Fraser Wood Elements has an entire wall dedicated to offering ready to take home live edge end tables. All products on the wall has been sanded to 220 and sprayed with a satin lacquer finish. You can purchase just the top or we also have hairpin legs in stock that compliment our tops very nicely. 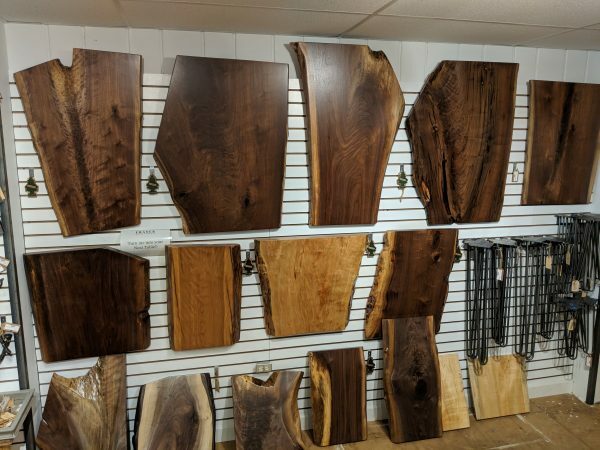 Please visit our store and see our current selection today! Or you can not make it to our store, please call or email us to send a current photo of our stock.